As I flagged in a previous post on the 2008 Children’s Book Council Awards (CBC), the winner of the Picture Book section “…will cause quite a stir”; and it has already. 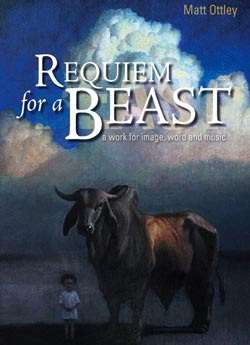 Matt Ottley’s “Requiem for a Beast: a work for image, word and music” is an ambitious work. It is a significant ‘book’, primarily because of its multimodal approach. It has moments of brilliance, but it is a harrowing ‘read’! It is also an inappropriate choice for the Picture Book of the Year (more on this later). Within the restrictions of my own length limit for this blog (about 1,000 words MAX! ), I will make some comments on the book and the award it has received. Matt Ottley is an author, artist and composer. He is creator of such highly acclaimed works as What Faust saw, Mrs Millie's Painting and the award winning collaboration with Nadia Wheatley, Luke's Way of Looking. He was born in 1962 in the Highlands of Papua New Guinea where he spent the first twelve years of his life. His family then moved to Sydney, where he attended high school and studied painting under the artist Stan Clements. Matt worked as a jackeroo on cattle stations in western Queensland before returning to Sydney to study fine arts at the Julian Ashton School of Art. He also began studying the classical guitar and musical composition. In this work Ottley displays all of his skills. He offers varied colour illustrations, using oil on canvas, oil on paper, coloured pencil and varied use of text and image in combination. This is a remarkable work that is worth considering for the art alone. No doubt it will be studied as much by students of art as of literature. The book is a large-format hardcover illustrated book that looks like a picture book, but of course isn’t. “Requiem for a Beast” is really a ‘graphic novel’ for adults and young adults (see my previous post on comics in which I address some aspects of this form). A graphic novel is a novel whose narrative is conveyed through a combination of text and art. While often the art in a graphic novel is in comic format, there are many diverse examples of this literary form. Ottley has pushed the envelope by adding music. The publishers have accurately promoted the book as a graphic novel, but sadly there is no category for this type of work in the CBC awards. Perhaps Ottley has created a new form – the ‘multimodal graphic novel’ – but one suspects that there will be few others in this precise category! 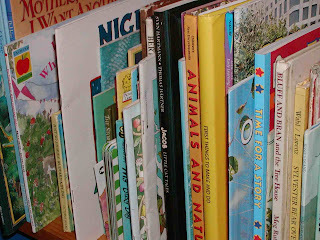 One glance at the ‘book’ indicates quickly that it is not typical of the picture book genre. It is a unique blend of word, traditional illustrations, multi-illustration pages, ‘comic-like’ sequences, handwritten script as well as type script, long sections of narrative, short quotes and anecdotes, and then music. The book ends with the contents of a short musical and an accompanying CD. Some might call it a multimodal text, but that says more about the way it might be read and the devices the author uses than the work. The work needs to be ‘read’ (at least on first reading) in a linear way, like most novels, but of course the reader needs to read integrate illustration and music in arriving at a full understanding of the novel. But what is this book about? Good question. It took me multiple readings to feel confident that I could write this post. This in itself should ring alarm bells. Why would I be reading such a book in relation to the CBC Children’s Book Council awards? This is a book that will only be appreciated by most people if studied. For the average teenager 16+ this book will required ‘guided reading’ and it has no relevance for younger readers. I needed to study the book to appreciate it; this text requires effort. "We have a romanticised view of what a stockman's life is like, a Man From Snowy River-view, and I wanted to present life in a stock camp as it really is, in all its grittiness." And ‘gritty’ it is. As he explores the parallel lives of a young man working on an outback station coming face to face with a rogue bull, the story of his childhood, and the stories of dispossessed Aboriginal people. Within this narrative he explores other significant themes - the stolen generation (international readers might need this link), conquering one’s demons, loss, separation, guilt and forgiveness, separation and loneliness, family and community. A bull and a metaphorical beast are then introduced along with the boy who embarks on a personal journey. The book then shares the physical and internal journey of self-discovery. Ottley situates this within his own attempt to offer an alternative telling of the life of Australian stockman in remote northern Queensland. All this is set against the backdrop of Indigenous suffering and alienation. Ottley weaves multiple narratives of the boy’s life and Indigenous memories. At times it is difficult to know as ‘reader’ where you are. Is this memory, dream, nightmare, or reality? And whose life and moral choices are in focus at which point in time? This work is a riot of rich visual and verbal imagery. The work ends in Part 4 with Ottley’s weaving of Indigenous story and anecdote and his own rich musical composition. 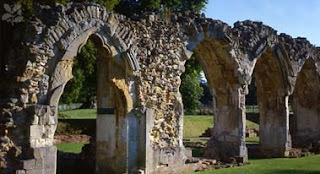 Again the title for this part is in Latin, Pie Jesu, which is derived from the final couplet of the hymn Dies Irae (which as indicated above is also the title of part 1). The words of the couplet signal that this final part is where there is resolution and justice. Sweet Lord Jesus, Grant them everlasting rest. Rest for those who have suffered, rest for the memories that have shaped the boy. This for me as ‘reader’ was the most harrowing part of my final reading of this work (several were required). And it was only here that I caught a glimpse of what Ottley was trying to achieve. The blend of authentic voices in English and Bundjalung language, the Latin drawn from the text of the 12th century poem Requiem, and Ottley’s composition performed with varied stringed instruments, certainly had an emotional impact; but for this reader, not a complete and satisfying resolution to the text that preceded it. I personally believe that this as a groundbreaking book, but one that doesn’t quite achieve what it sets out to achieve. 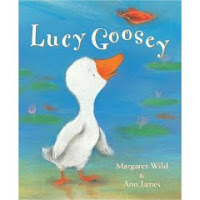 Putting to one side the confusion caused by its classification as a picture book, I find that it is a ‘mixed’ work. As indicated in the introduction to this post, it has moments of brilliance. The art is wonderful and the music is also memorable. The text is more varied and the structure just a little too complex for many readers unless the intent is simply for this to become an upper secondary school literary text or artistic work for formal study. Parts of the written text (especially the extended sections) are not of uniform quality. I felt that some sections required another edit; some sections seemed over-worked, with one too many adjectives or adverbs, where simplicity would have been better - "incandescent lightning", "immeasurable barrenness", "bellowing at the mushroom of cloud that boils from the horizon and couches the full moon." Given that Ottley worked on Requiem for a beast for seven years he probably won't agree. His most powerful words are those that are simple like his brilliant opening - "It's our memories that make us." The CBC has made a mistake (in my opinion) in awarding this the picture book of the year. While it is an interesting and groundbreaking work, on pragmatic grounds alone, the prize should have gone to a picture book, not a graphic novel. There are many fine authors and illustrators striving to win this award with work that fits the category. Why award it to a work that does not? My suggestion to the CBC is to introduce a category of graphic novel that need not be awarded every year. Ottley would certainly have deservedly won this award for what is a significant work. What do kids think of the book? I wondered what teenagers would make of this book. It seems that at least one secondary class that has studied the book has some fans as well as some disinterested readers. You can read some of their responses on a Tasmanian website where their teacher has helpfully posted her class responses - Student Web Forums. While I agree with many who have questioned the award of to this book in the picture book category, I find the comments about language unjustified. Ottley dod not write this book for little children. The Courier Mail reports on outrage in Brisbane that it might be marketed to children under 12 years, citing the use of the “f-word” as the problem. If it is being marketed to young children I'd be concerned as well, but this seems unlikely. At least one online source has posted a warning about the language and adult themes - see for example, BooksDirect. Rosemary Sorenson also talks about the award in her article 'Foul' kids' book Requiem for a Beast one of the century's best in the Australian (23rd August 2008). Kids ask lots of questions. Sometimes their questions don’t move beyond “Why Mum?”. Professor Michelle Chouinard’s (professor of psychology at University of California Merced), suggests that her research shows that children ask an average of three questions every two minutes. And the findings of Hoetker & Ahlbrand 40 years ago, that showed that teachers ask about 2-4 questions every minute, continues to be replicated. But sadly, many of these questions simply test knowledge and recall. The questions that we ask of them. Above: Two of my grandchildren (Jacob & Rebecca) on a trip to the Australian Museum with me. A great stimulator of questions! Children’s questions usually show that they are keen to learn – that there are gaps in their knowledge, new areas of interest. They need answers to things that puzzle them. Questions offer us a window into children’s learning – what they are interested in; their learning styles; how well they are learning. Questions are also one way that children try to take control of their own learning; where they try to set an agenda and focus for their learning. Questions are a way for children to test their existing knowledge, or test their own hypotheses. Parents and teachers should try to ask a variety of questions. While the younger the child the more use you will probably make of simple recall type questions, there is no reason to limit your questions to these questions. There are many ways to classify questions, but here is one way to do it based on Bloom's Taxonomy (still one of the most useful frameworks for questioning). You can find a more detailed overview of Bloom's categories here. Avoid over-using questions that just test learning, or that simply channel learning in directions that you want it to go. Try to give honest answers to children’s questions. His Dad suggests, “That was during the reign of Emperor Nasi Goreng - to keep the rabbits out – too many rabbits in China”. I'll say it again, we should never be afraid to say, “I’m not sure, but I’ll think about it and let you know” (view the video HERE). End of conversation! Well, maybe not, they probably talked for ages about infinity. As my last post on the 2008 Children's Book Council Awards indicated, the book Pearl Barley and Charlie Parsley, written and illustrated by Aaron Blabey, won the prize for best Early Childhood book. Now this is a remarkable achievement for a number of reasons. It was Aaron Blabey's first book. As well, he is a self-taught and successful artist. But that's not all; he was already a successful actor before deciding he'd become a writer and illustrator. 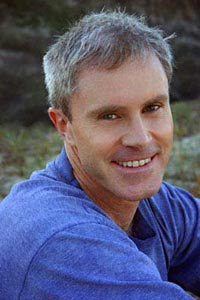 Blabey won the 1995 AFI Best Actor Award for his performance in the title role of The Damnation of Harvey McHugh. In 2000 he was nominated for an AFI Best Actor Award for his role in Stingers and has appeared in Through My Eyes - The True Story of Lindy Chamberlain, Crashburn, All Saints, Wildside and Phoenix, and movies including Mullet and The Human Touch. After winning acclaim first as an actor, he began to win acclaim for his unique paintings of the female form. His paintings were inspired by his experience in film, TV and theatre where was appalled by its concept of body image and the stress it placed on his female co-actors. You can read a review of his art here. Now, in just 12 months he has published two delightful picture books - 'Pearl Barley and Charlie Parsley' & 'Sunday Chutney' (Penguin/ Viking 2007 & 2008). Both books share the same qualities. They use simple language and simple illustrations and focus on children and their relationships. "Pearl Barley and Charlie Parsley are friends. 'Why are Pearl Barley and Charlie Parsley friends? Different in almost every way. Charlie Parsley is very quiet..."
In his first book Blabey tells the story of two different and unlikely friends. 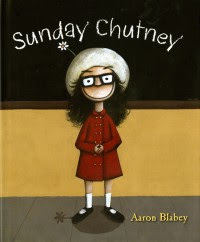 His second book, Sunday Chutney, is a simple first person narrative about an unusual girl who leads an unusual life. Moving from school to school due to her Dad's work, she faces many challenges; especially with other kids. Sunday Chutney knows what she likes, and doesn't like, and has great inner strength and imagination that gets her through. ....and I'm a bit unusual..."
Sunday Chutney is always the new kid. "And everyone always thinks the new kid is a bit weird. But guess what? I don't care. I enjoy my own company... and I have an excellent imagination." Blabey has written and illustrated two wonderful books that children will love to listen to (if they are young) and read themselves as beginning readers. Aaron Blabey would seem to have a bright future ahead of him as a children's author and illustrator. You can hear Aaron Blabey talking about his first two books here. As I mentioned in my last post, it's Children's Book Week in Australia from 16th-22nd August. The winners and honour books were announced yesterday and are a remarkable set. This year's awards (I suspect) will be marked by controversy, mostly focussed around Matt Ottley's Book that I look at later in the post. In this post I've focussed just on the winners and will return to the full list later. 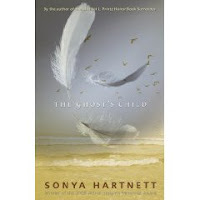 The Ghost's Child is a highly evocative and poetic story about an old lady who is visited by a young boy, the child of a ghost, and a ghostly child at the same time. The story then takes shape as Hartnett tells of the growth of the old woman from a girl to a woman and the fruitless love she has for a strange young man. You can read a recent review in the Age here. 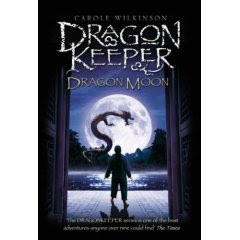 Dragon Moon, is the third and final book in Carole Wilkinson’s Dragonkeeper trilogy. In the first book, Dragonkeeper, a slave girl saves the life of an ageing dragon and escapes her brutal master. Pursued by a ruthless dragon hunter, the girl and the dragon make an epic journey across China carrying a mysterious stone that must be protected. In the sequel to Dragonkeeper, Garden of the Purple Dragon, Ping hides from her enemies in the shadow of the Tai Shan mountains where she struggles to care for Kai, the baby dragon for who she has become responsible. In Dragon Moon Ping and Kai have travelled far but find that their journey is not yet over. Danger stalks them. Ping must find Kai a safe place. But how will she do this? 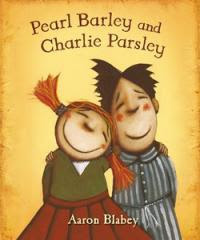 This is a book about friendship and relationships; Pearl Barley and Charlie Parsley are the best of friends, but they are different in almost every way. Pearl likes solving mysteries and moves rather fast in the world; Charlie likes taking baths and watching his garden grow. So how can Pearl Barley and Charlie Parsley be such good friends? Warning! This is a large-format hardcover illustrated book that from the cover looks like a picture book; but don’t be deceived! 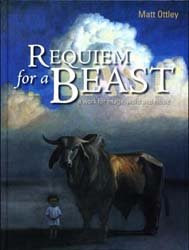 Requiem for a Beast is really a ‘novel’ for young adults and adults and comes with a warning about adult language and themes. Which might well lead you to ask, should it have been judged in this category of the awards. But it’s not the first book like this that is hard to classify. Take for example, The Tin-Pot Foreign General and the Old Iron Woman by Raymond Briggs, a political satire about the Falklands war. This book will cause quite a stir. The language alone is hardly what you'd expect to find in a children's book (because it's not one anyway). This is a complex text about the stolen generation. I'll do a post on it later but you can read a review of the beginnings of the controversy here. The publishers bill Ottley’s book as a graphic novel. It is a unique blend of word, illustration and even music (it has an accompanying CD) in a combination that is hard to describe in words. The text explores different stories – a young man working on an outback station coming face to face with a rogue bull, the story of his childhood, and the stories of dispossessed Aboriginal people. This is the classic multimodal text - the postmodern novel! What is amazing is that this is all the work of one man, Matt Ottley. 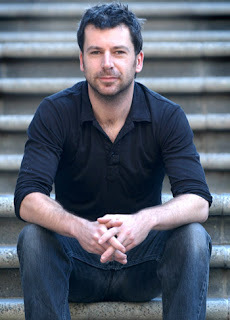 Matt Ottley is an author, artist and composer. He is creator of such highly acclaimed works as What Faust saw, Mrs Millie's Painting and the award winning collaboration with Nadia Wheatley, Luke's Way of Looking. Ottley’s varied colour illustrations, use oil on canvas, oil on paper and coloured pencil include and varied use of text and image in combination. This is a remarkable work that will create lots of discussion for many varied reasons. The book is currently out of print, but I'm sure that this won't last too long! UPDATE: Since writing this review of the major awards I have written a detailed review of this book (here). 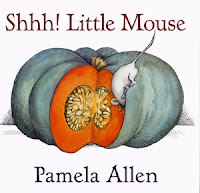 This is fast moving and entertaining book that will work for any child under 5. It is a book about books! It is centred on a clever and handsome rabbit and uses a variety of styles and formats to amuse, entertain and surprise the child as they are introduced to concepts about print and books. There are flaps to flip and questions to ask and answer. Parsley effectively introduces children to books by taking them on a journey through the world of books. You can read a review here. You can see the full list of honour books as well as the winners on the CBC site. Don't forget to check out your local library to see if they have any special event planned (e.g. 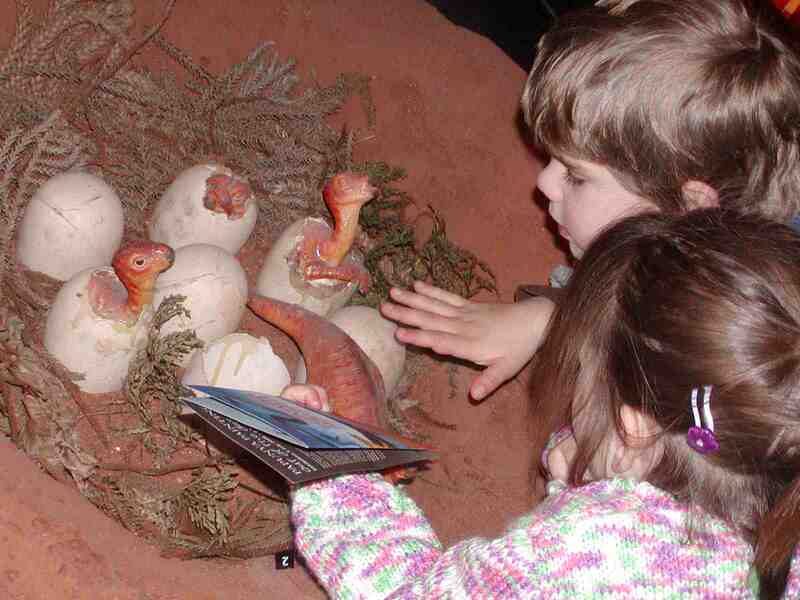 storytelling sessions, displays etc). 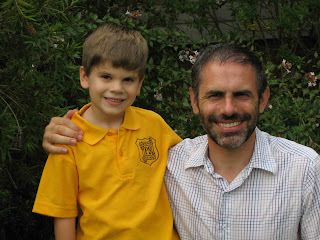 If you are a parent try to do something special to mark the fact that it is Book Week. As well, don't forget that the CBC also published a list of over 100 books judged to deserve recognition - Notable Australian Children's Books. This list of course includes the award winners. The original shortlist of books from which the winners were chosen can be found here. Angie Schiavone has an interesting piece in today's (16-17 August 2008) Sydney Morning Herald (no online version) that discusses the challenges of classifying children's literature. 3. Visit your school or public library with your children to view (hopefully) a display of some of the Children's Book Council award winners. Borrow some books and take them home. Each year one of the major events in book week is the announcement of the Children's Book Council Awards (not announced until Friday). The shortlist from which the winners will be chosen can be found here. Each year the CBCA also publishes Notable Australian Children's Books, which is an annotated list of books selected from all the entries submitted for judging in the Awards each year. The aim is to give prominence to books (and authors) which deserve recognition according to the criteria set down for the Awards. There are over 100 books listed in 4 literature categories and an information book category. For example, below I have listed the 20 notable books in the Early Childhood book category. You'll notice that just 6 of these books are shortlisted (I've highlighted them) and yet there are many other great books. I'd encourage you to look beyond the shortlist to the Notable booklist where you'll find more books and authors to consider. Graham, Bob, The trouble with dogs! Is Twitter a sign that the world has finally gone ‘Twitty’? Twitter is one of a number of microblogging tools that ask users to tell friends what they’re doing in 140 characters or less. It's a social networking service that allows users to send updates (known as ‘tweets’) that are text-based posts to their friends or strangers for that matter. Updates are displayed on the user's profile page and are delivered to other users who sign up to receive them. You can restrict delivery to a set of friends if you like (or let the whole world see it by default). You can receive updates via the Twitter website, instant messaging, SMS, RSS, email or through an application such as Facebook. Other similar tools include Plurk, Jaiku and Pownce. Trying to talk e into joining me on LIVE for some BF:BC. We have to get ready for Conquest Mode. “It's like proprioception, your body's ability to know where your limbs are. That subliminal sense of orientation is crucial for coordination: It keeps you from accidentally bumping into objects, and it makes possible amazing feats of balance and dexterity. First, what does it say about us if we are so self-absorbed that we'd think that the world wants to read random snippets about our daily lives (well maybe my wife would)? Second, why are we prepared to spend time reading this stuff constantly; and what might be lost from relationships by reducing them to this? (And yes I know this wouldn't be the only way people are communicating). Third, from what other activities in life do we steal the time to 'tweet' all day long? Work? Reading? Talking to our kids? Fourth, could this be frying our brains; or at the very least scrambling them a little? I'll comment just on the last point (maybe I'll return to the others at another time). Mokoto Rich (Literacy Debate: Online, R U Really Reading?) points to evidence from Neurological studies that show that learning to read changes the brain’s circuitry. As well, there is more recent speculation that reading on the Internet may also affect the brain’s hard wiring in a way that is different from book reading. "For me, as for others, the Net is becoming a universal medium, the conduit for most of the information that flows through my eyes and ears and into my mind. The advantages of having immediate access to such an incredibly rich store of information are many, and they’ve been widely described and duly applauded. “The perfect recall of silicon memory,” Wired’s Clive Thompson has written, “can be an enormous boon to thinking.” But that boon comes at a price. As the media theorist Marshall McLuhan pointed out in the 1960s, media are not just passive channels of information. They supply the stuff of thought, but they also shape the process of thought. And what the Net seems to be doing is chipping away my capacity for concentration and contemplation. My mind now expects to take in information the way the Net distributes it: in a swiftly moving stream of particles. Once I was a scuba diver in the sea of words. Now I zip along the surface like a guy on a Jet Ski." Carr puts his finger on one of my greatest concerns about the downside of the Internet (and I write this as an active user of the Internet - I love its benefits), it can be so consuming and it is changing the things we read, write and live - both adults and children. We can argue about the many ways the Internet opens up a world of texts and knowledge, but what might be lost if increasingly we read less extended texts and write less extended texts and lose the richness of varied textual forms that we've known in the past. I hope that the essays of my grandchildren's children are not 140 characters long. The Carr article is worth a read. I'll probably blog about this again, but you'll also find a range of useful links to New York Times articles that link to a variety of pieces of research here. I've also blogged previously about the broad topic of the Internet and its impact here, here, and here. And I have a more extended paper on my website here. Would love your thoughts on this topic. 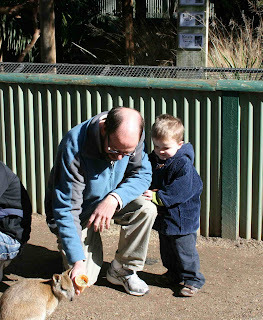 Carmen and I had the joy of taking my grandson Samuel to Featherdale Wildlife Park last Saturday. I love this little ‘zoo’ in Doonside. 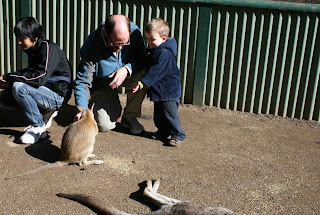 It’s the only place I know where you can see virtually every iconic Australian animal, get to feed and pat kangaroos, koalas, wombats etc and let little children run without too much concern. We took lots of photos (Carmen helped out here). When we were sorting through them that night Carmen pointed out the interesting sequence of photos she had taken of me trying to encourage Samuel to feed a wallaby. I’ll let the photos speak for themselves then offer a comment about the significance of the observation to how we support our children as learners. 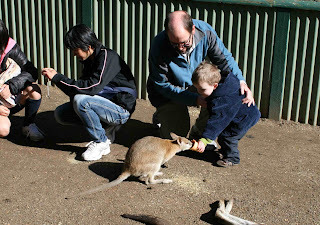 Shot 1 - "Watch Grandad feed the wallaby". Note his position. Shot 3 - "You hold it Sam". "Aw-right" Note my arm. Shot 4 - "I did it!" Note his face (and mine) - success! What the above photos show are the way an adult can support a child to take risks and learn new things. My own research and that of many others has demonstrated that there are several key processes occurring learning events such as the above. Two of these are "guided participation" and "scaffolding". There was also physical contact - he needed to know that Grandad was there helping. I also demonstrated the task and segmented it (though you can't see precisely from these shots). There were a number of steps in between photos 2 and 4. Barbara Rogoff suggests that guided participation is critical to children’s learning. She describes this process as the guided participation of children and others in the collaborative process of "building bridges" from children's present understanding and skills in order to reach new understandings and skills. This in turn requires "the arranging and structuring of children's participation in activities" in some way. 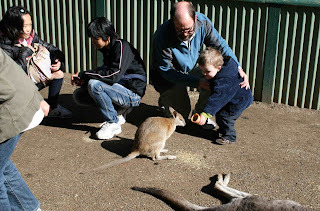 I wanted Sam to experience the wallaby up close and I wanted him to be brave enough to try to feed it himself. Alone he would just have watched but with my support he eventually did it and learned new things. Jerome Bruner developed the term “scaffolding” that describes in a more specific way what was going on in this learning episode. The concept of "scaffolding" was devised by Bruner to explain the behaviour of a tutor helping three- and five-year-old children to build a pyramid out of interlocking wooden blocks. He concluded that the act of scaffolding that he observed was a process whereby an adult helped children by doing what the child could not do at first, and allowing students to slowly take over parts of the process as they were able to do so. The adult controlled the focus of attention, demonstrated the task, segmented the task and so on. While in my work I consider in more detail how children also direct attention and take some control of their own learning, this is a level of discussion that isn’t needed in this instance. Once again, you can see this demonstrated in the photos above. Implications for parents and teachers? There are many implications from the work of researchers like Rogoff and Bruner that have direct application to the type of support that adults (both parents and teachers) give to children every day. 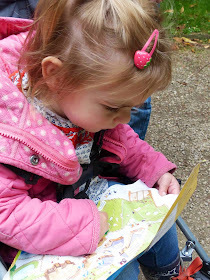 The type of support that is shown in the photos is quite similar to the type of support we give to children as they learn language, explore their world, attempt new gross motor tasks (walking, riding a bike etc) and so on. Two key factors in learning are the quality of support adults provide and the encouragement we give children to become risk takers. For anyone who wants a more detailed discussion I have included a section of one of my books on my website (here) and of course you could source the book itself (here).